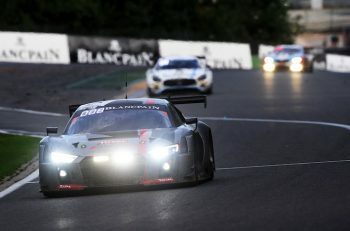 Making motor sport films for mainstream cinema is becoming something of a trend. Since ‘Senna’, and ‘Rush’ brought Formula 1 into your local multiplex, we’ve had other big films: notably “1: Life on the Limit”, “Steve McQueen: The Man and Le Mans” and “The Green Hell”, all of which were good in their own way, and all of which provide a platform for motorsport to present itself to the world at large. 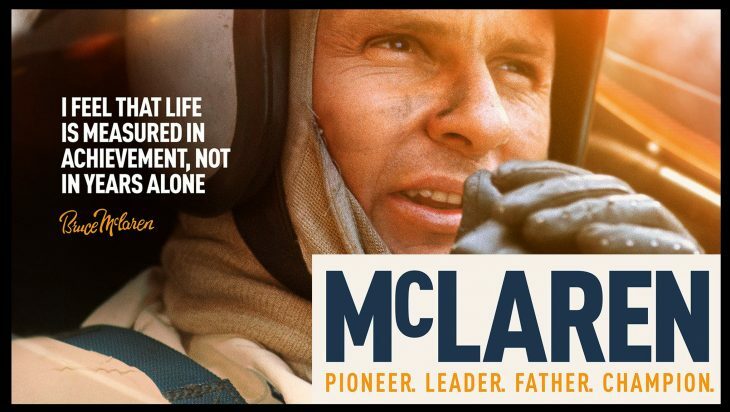 None of those films mentioned though, quite hit the spot in terms of public appeal in the same way as ‘McLaren’ the story not of the company or its cars, but about the man: Bruce McLaren and his pursuit of perfection. It is a very good film indeed. It is a mix of archive footage with contemporarily-filmed re-enactments. Interviews with people who were involved at the time are seamlessly blended with extracts from letters that Bruce wrote home to his family in New Zealand while he was trying to beat the world and simultaneously make ends meet in England. Before I saw it, I wasn’t sure that the film would work. But it does. It works extremely well. Without the distractions of a formal plot that ruined ‘Rush’, and the antagonism between the characters that spoiled ‘Senna’, McLaren tells the story of the man that is in turn jaw-dropping, tear-jerking and arm-waving. Although I saw him race (and win), I cannot profess to have known him, but this film provides all the evidence required to assert that he was a thoroughly good bloke. The film is so structured that it will appeal to a broad range. I suspect that even died-in-the-wool fans will learn something from it, and those who know nothing of the man who gave his name to the company that has been involved in Formula 1 for longer than any other bar Ferrari, will come away with renewed admiration. The soundtrack is simply superb, creating an atmosphere right from the start that has the hairs standing up on the back of your neck. The interviewees are splendid, too. Their contributions are lucid, relevant and emotionally-charged. 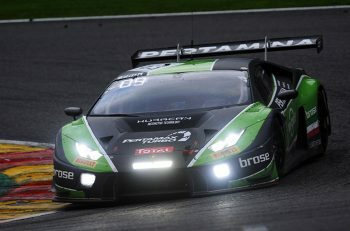 Phil Kerr, Eoin Young, Howden Ganley and Chris Amon are the stars. The film strikes a sublime balance with the different threads of Bruce’s life that need to be woven together. His early years are covered in detail, especially his struggle with Perthes Disease. The Cooper years, including his relationship with Jack Brabham lead onto the establishment of Bruce McLaren Motor Racing Team and the role of Can-Am in the funding of the team. 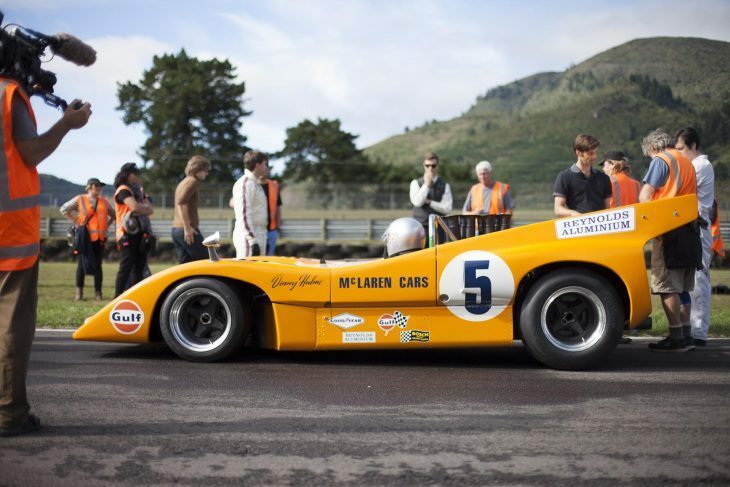 McLaren’s career as a sports car driver for Ford in the 1960’s along with the controversial Le Mans win, in partnership with Chris Amon, is dealt with in a simple, matter-of-fact fashion, without unnecessary baggage or clutter. The film pulls few punches – I suppose it is inevitable that in covering the 1960’s violent crashes and death will be part of the story. And I am not sure that the depiction of Bruce’s death at Goodwood on June 2nd 1970 could have been more carefully portrayed. The narrative draws the viewer into the situation; the emotion is evident, and raw. And the legacy of McLaren, the company, is shown in a brilliant 30-second montage at the end of the film, without explicit reference to Yardley, Marlboro or West, nor Ron Dennis or Woking. If you’re quick, you’ll see Ueno Clinic. Don’t blink. And watch to the end. All due credit to director Roger Donaldson and producers Matthew Metcalfe and Fraser Brown for making a film that will inform fans of the sport who maybe did not appreciate the name behind the brand, but at the same time will entertain those whose interest is in the story of a man whose passion and spirit founded that brand. Go and see the film on the big screen, but my bet is you’ll want a copy of your own to watch again at home.